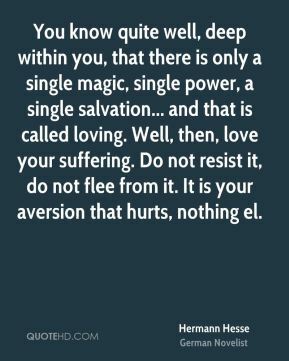 You know quite well, deep within you, that there is only a single magic, single power, a single salvation... and that is called loving. Well, then, love your suffering. Do not resist it, do not flee from it. It is your aversion that hurts, nothing el. That water makes their hair grow. 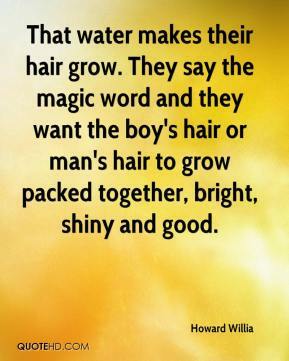 They say the magic word and they want the boy's hair or man's hair to grow packed together, bright, shiny and good. 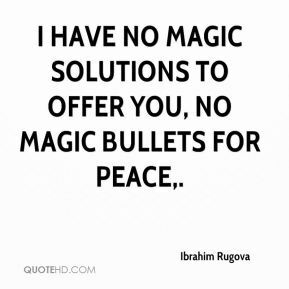 I have no magic solutions to offer you, no magic bullets for peace. We can't wallow in self-pity, we've just got to get on with it. There's no magic wand at the moment. The table isn't the main concern, we've just got to get the team playing. 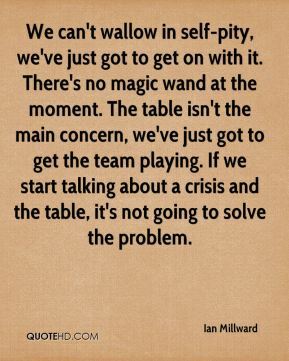 If we start talking about a crisis and the table, it's not going to solve the problem. 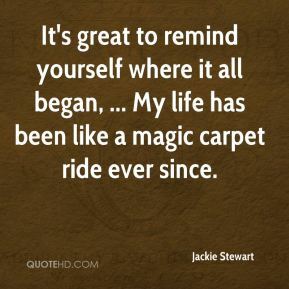 It's great to remind yourself where it all began, ... My life has been like a magic carpet ride ever since. 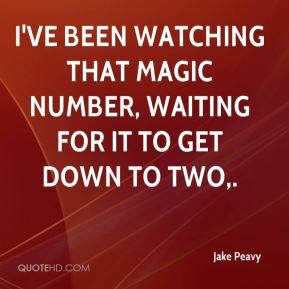 I've been watching that magic number, waiting for it to get down to two. Being back at home should give us a boost. 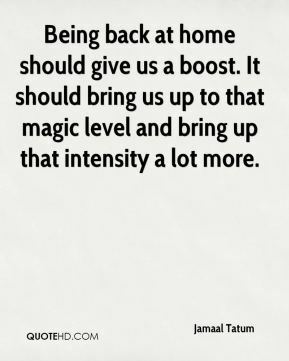 It should bring us up to that magic level and bring up that intensity a lot more. I get that same excitement as a fast break with Magic. 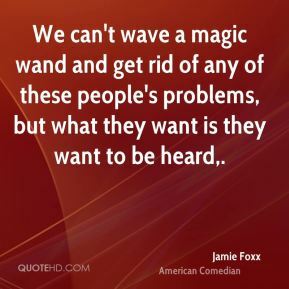 We can't wave a magic wand and get rid of any of these people's problems, but what they want is they want to be heard. We tried to record in the studio, and we didn't have the magic. 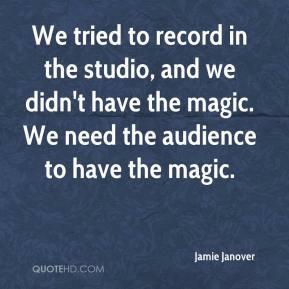 We need the audience to have the magic. There is no magic wand to wave over this team to make them a contending team. 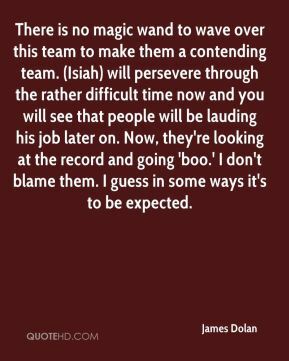 (Isiah) will persevere through the rather difficult time now and you will see that people will be lauding his job later on. Now, they're looking at the record and going 'boo.' I don't blame them. I guess in some ways it's to be expected. When I was 16, I walked into a magic shop, the owner demonstrated some tricks and I was absolutely blown away. 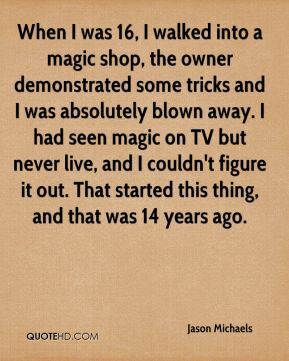 I had seen magic on TV but never live, and I couldn't figure it out. That started this thing, and that was 14 years ago. 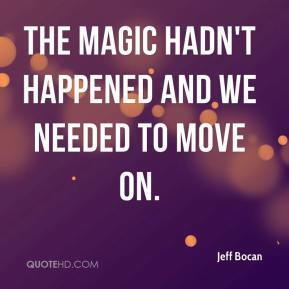 The magic hadn't happened and we needed to move on. 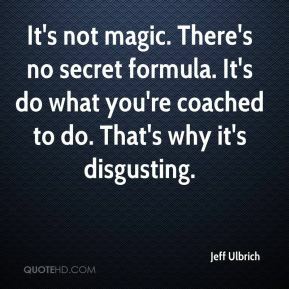 It's not magic. There's no secret formula. It's do what you're coached to do. That's why it's disgusting. 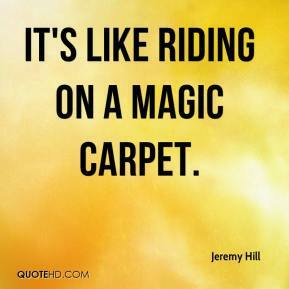 It's like riding on a magic carpet. 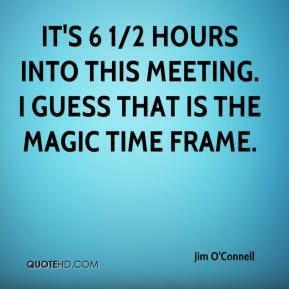 It's 6 1/2 hours into this meeting. I guess that is the magic time frame. 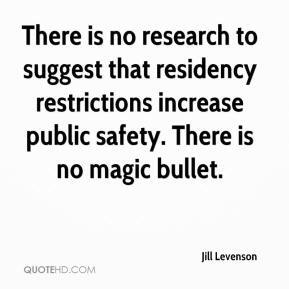 There is no research to suggest that residency restrictions increase public safety. There is no magic bullet. 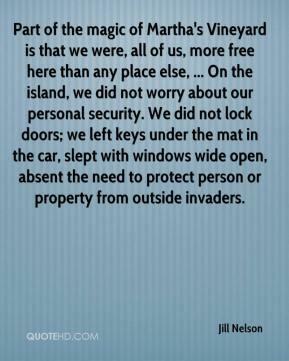 Part of the magic of Martha's Vineyard is that we were, all of us, more free here than any place else, ... On the island, we did not worry about our personal security. We did not lock doors; we left keys under the mat in the car, slept with windows wide open, absent the need to protect person or property from outside invaders. 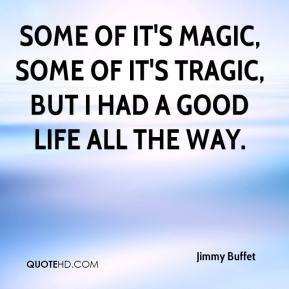 Some of it's magic, some of it's tragic, but I had a good life all the way. This is history for us. 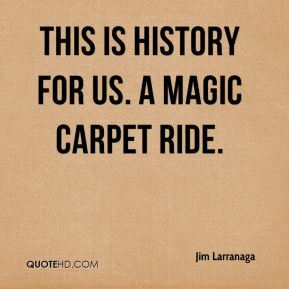 A magic carpet ride. 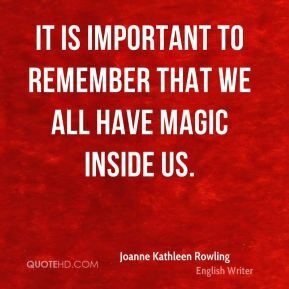 It is important to remember that we all have magic inside us. 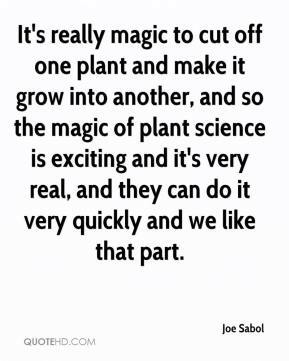 It's really magic to cut off one plant and make it grow into another, and so the magic of plant science is exciting and it's very real, and they can do it very quickly and we like that part. The great magic of Bald Head Island is that it lets people discover a pace they may not have thought existed in this day and age. 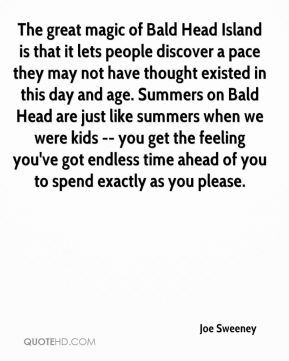 Summers on Bald Head are just like summers when we were kids -- you get the feeling you've got endless time ahead of you to spend exactly as you please. What people like about stop-motion animation is that it's real. 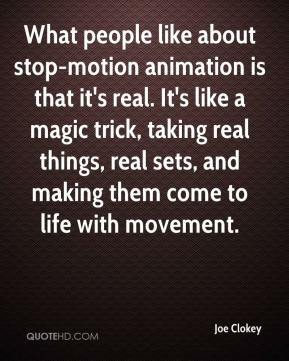 It's like a magic trick, taking real things, real sets, and making them come to life with movement. 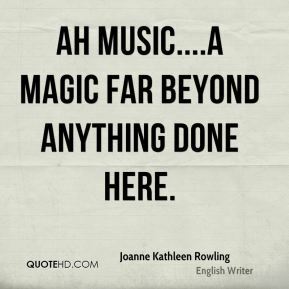 Ah music....a magic far beyond anything done here.